If you know us, then you know New Orleans is one of our favorite cities to visit. We love the culture, the people and of course the food. Fun fact: New Orleans was actually the first official trip for 2 Girls Who Travel. Read more about our inaugural trip to NOLA here. 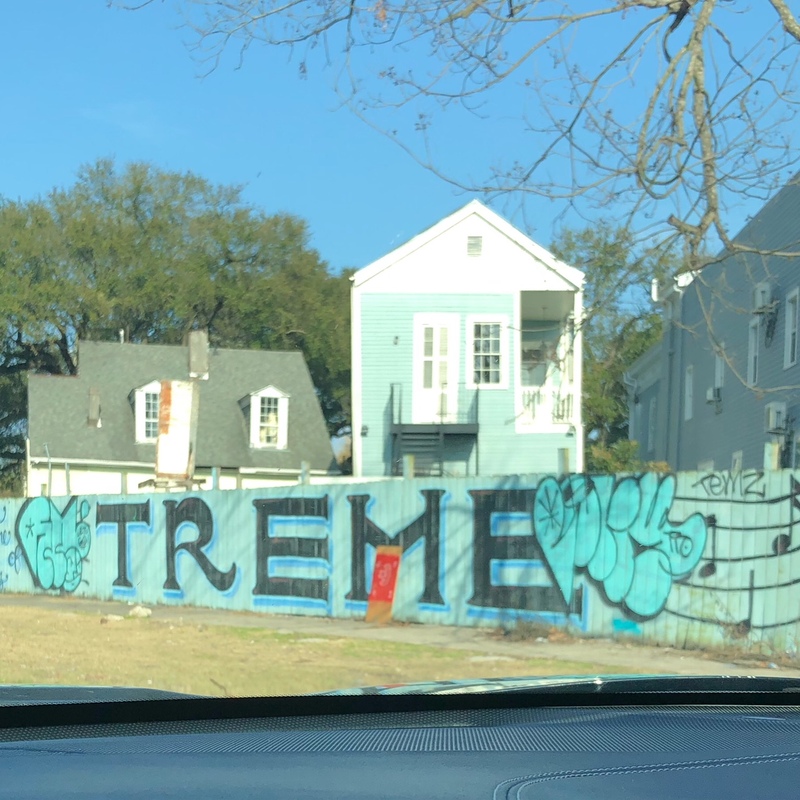 On this recent trip, we spent 48 hours “following our NOLA.” We didn’t have a lot of time, but we definitely made the most of it! We decided to stay in the heart of Uptown at the Alder Hotel. 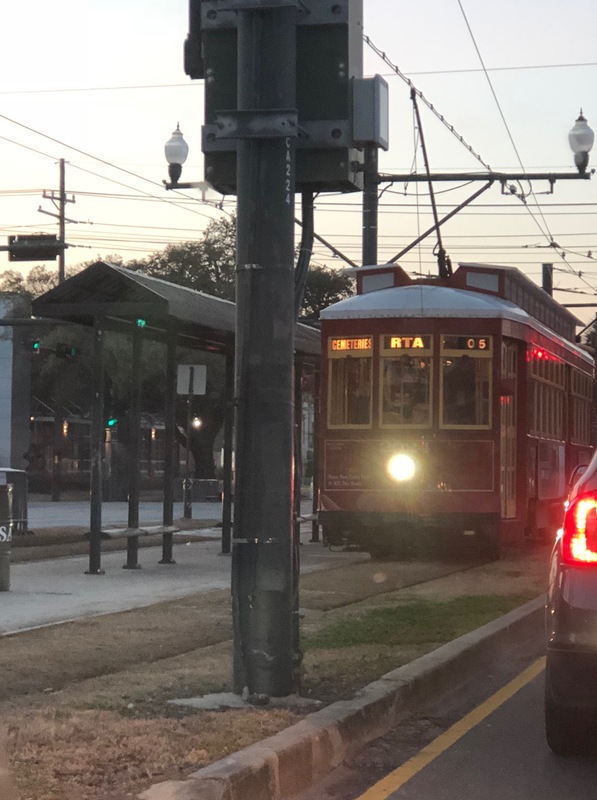 Situated near Tulane, Xavier and Loyola universities, Alder Hotel is a mere hop, skip and jump away from Freret Street shopping and restaurants and also just a short Uber or Lyft ride away from the Quarter. Really a great location with clean, large rooms and a friendly hotel staff. You may have heard that New Orleans is celebrating its 300th birthday this year and there are a ton of activities and events commemorating this momentous occasion. For more info on the Tricentennial, click here. 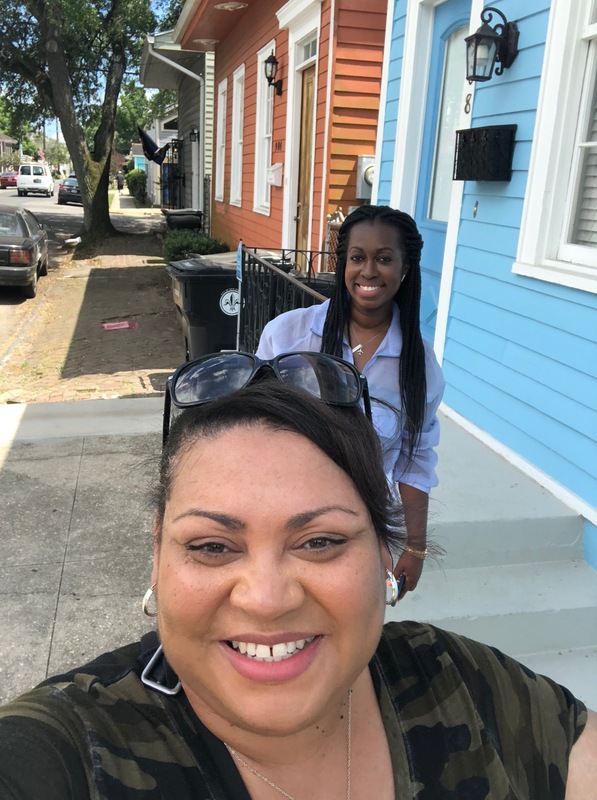 With the Essence Festival coming up, we wanted to share some “best of” NOLA, along with a few up-and-coming neighborhood hotspots to visit on your trip to the Crescent City. 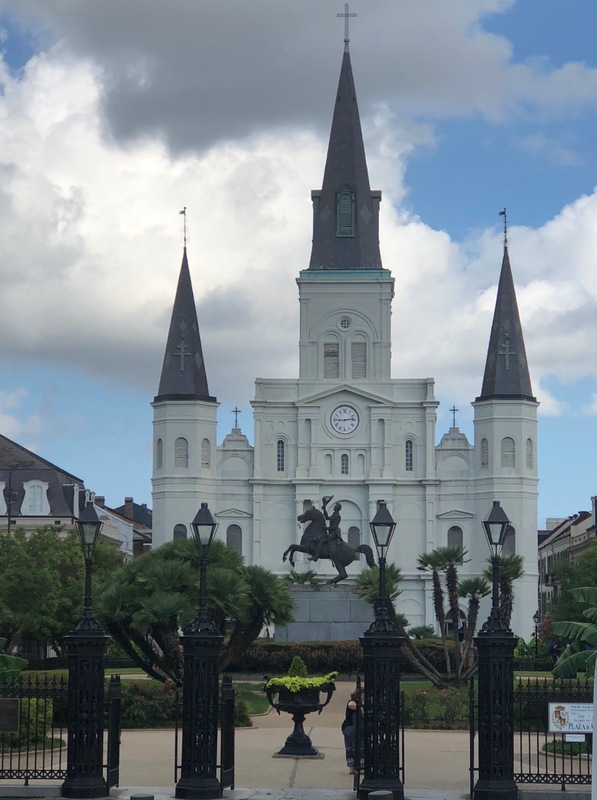 If you’re planning a trip to New Orleans soon and don’t know where to begin or you have a few extra days to explore the city before or after Essence Fest, keep reading! Our list is in no particular order… honestly if you have time, try to take it all in! 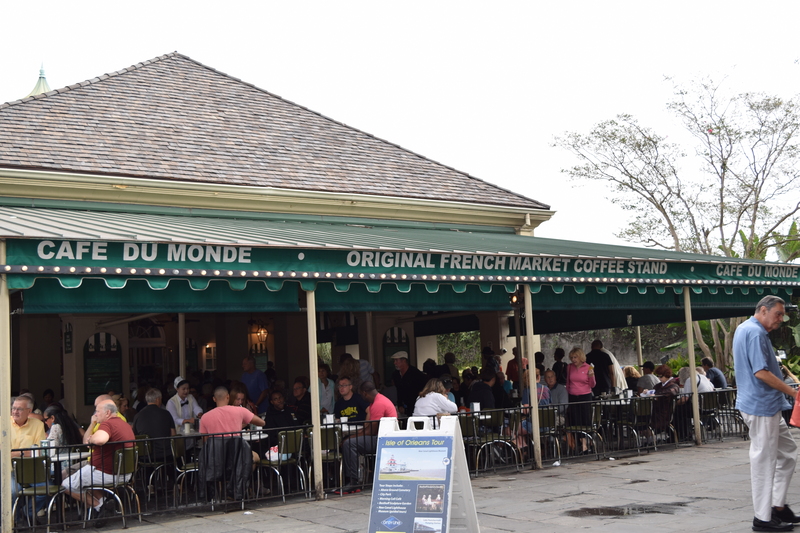 Café du Monde, 800 Decatur St. – No trip is complete without at least one beignet! Jackson Square, 700 Decatur St. – Check out the artists in the square. French Market, Decatur St, 1100 North Peters St. – Great spot for souvenirs! 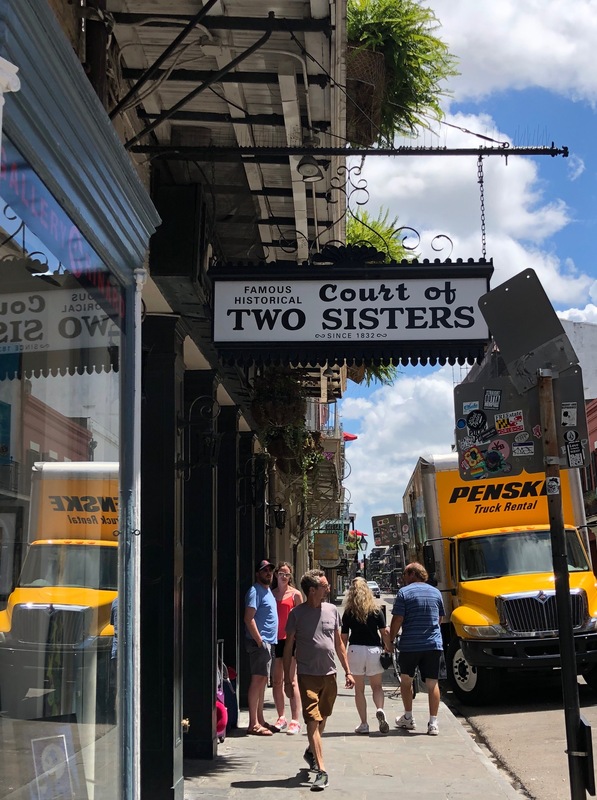 Court of Two Sisters, 613 Royal St. – Brunch every day! Bourbon House, 144 Bourbon St. – Great dinner spot! Arnaud’s and the French 75 Bar, 813 Bienville St. – Have a French 75 our fave way – with cognac! 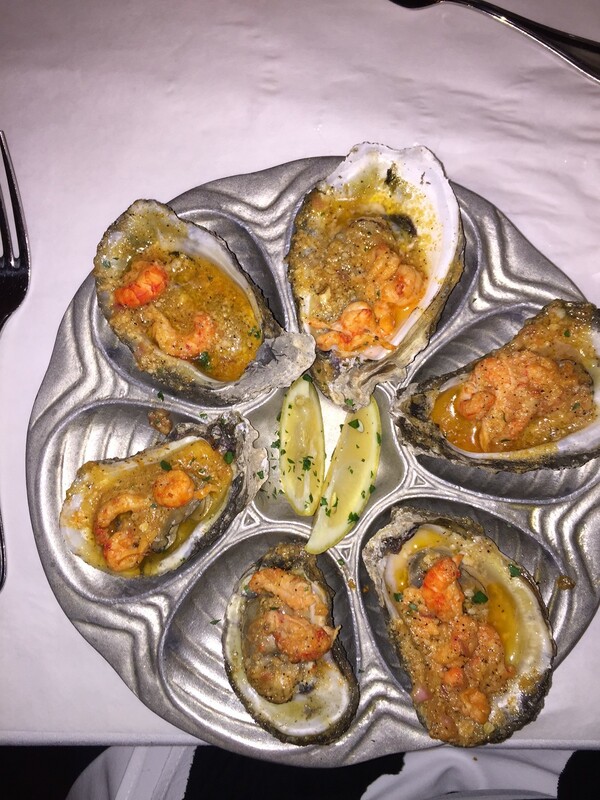 Desire Oyster Bar, 300 Bourbon St. – Great chargrilled oysters! The Market Cafe, 1000 Decatur St. – Stop for live music and a refreshing cocktail on the patio! Deanie’s Seafood, 841 Iberville St. – Lots of amazing fried seafood! Pat O’Brien’s Bar, 718 St Peter St. – Enjoy a classic New Orleans Hurricane! 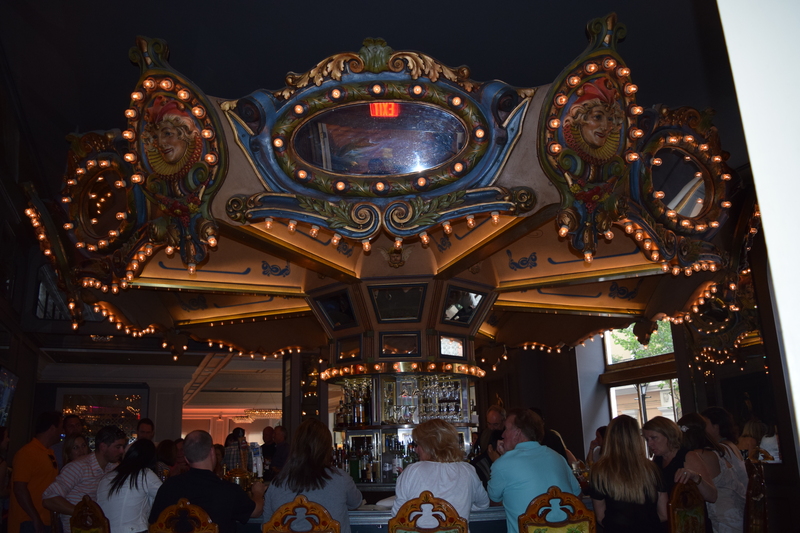 The Carousel Bar (Hotel Monteleone), 214 Royal St. – Take a spin on the Carousel! The Jazz Playhouse at The Royal Sonesta, 300 Bourbon St. – Stop in for some great jazz! Bourbon House Charbroiled Oysters with crawfish. Some of the best oysters you’ll ever taste! 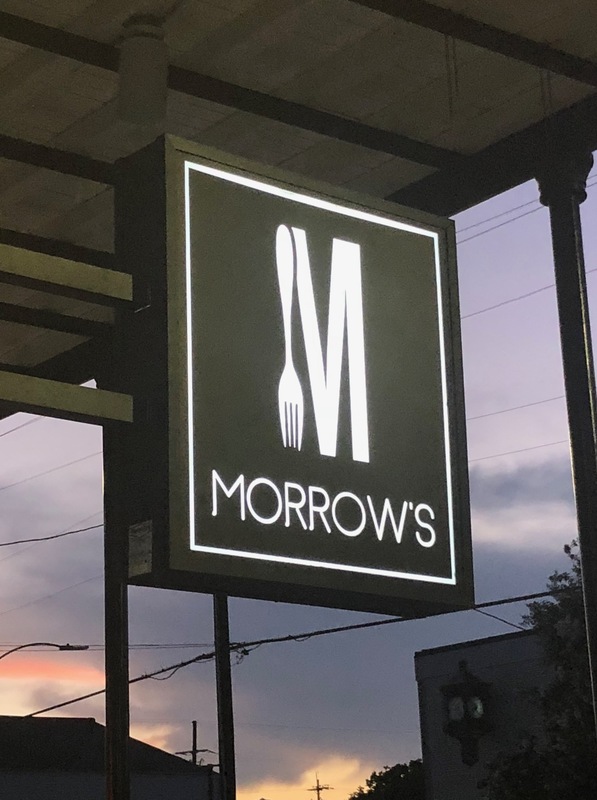 Morrow’s, 2438 St Claude Ave. – Great food with a modern and dope vibe! The Joint, 701 Mazant St. – Excellent brisket! Cool bartenders too! Port of Call, 838 Esplanade Ave. – Burgers, loaded potatoes and drinks! Love it! 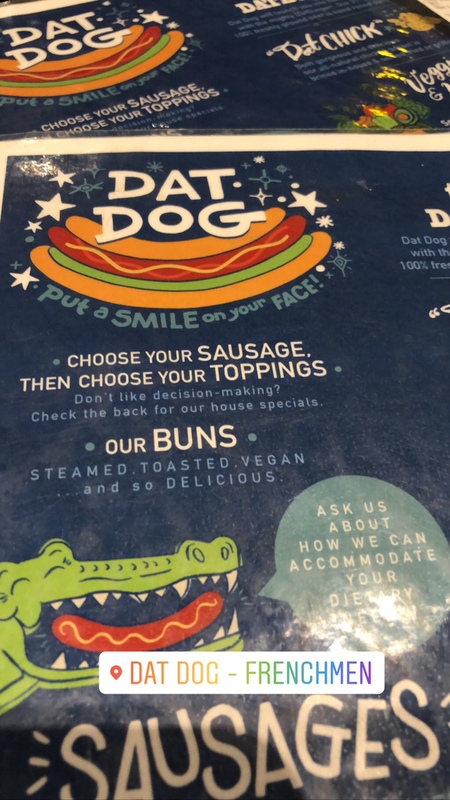 Dat Dog Frenchmen, 601 Frenchmen St. – The crawfish etouffee fries are a definite! Bywater American Bistro, 2900 Chartres St. – Chef Nina Compton’s new concept run by Chef Levi Raines. Elizabeth’s, 601 Gallier St. – Food is made from scratch! 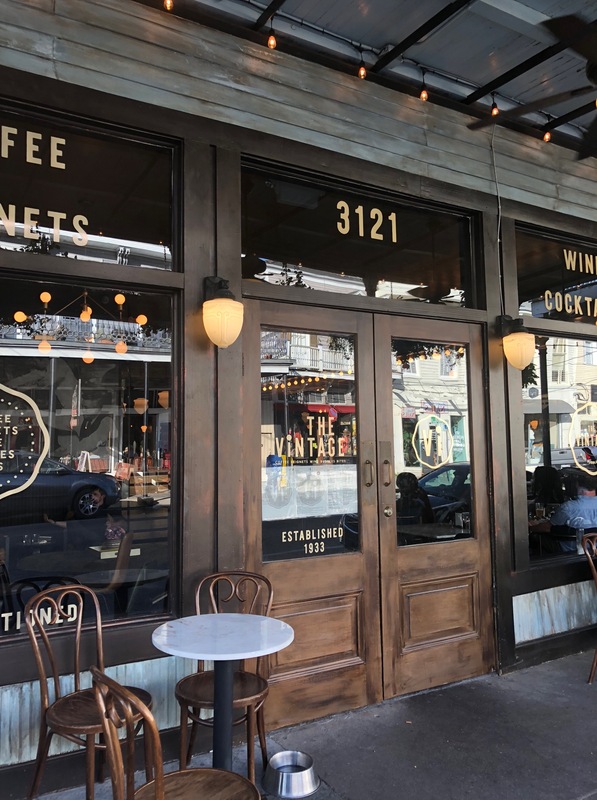 The Praline Connection, 542 Frenchmen St. – Great food! Bacchanal Wine, 600 Poland Ave. – Wine and live music in the courtyard every day! Open late! 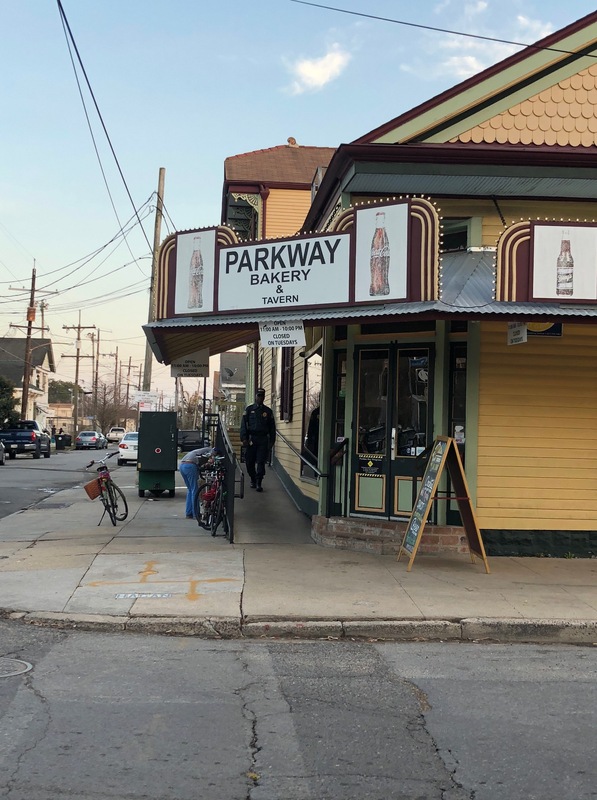 Bywater Bakery, 3624 Dauphine St. – Get the chantilly cake! OMG! So good! 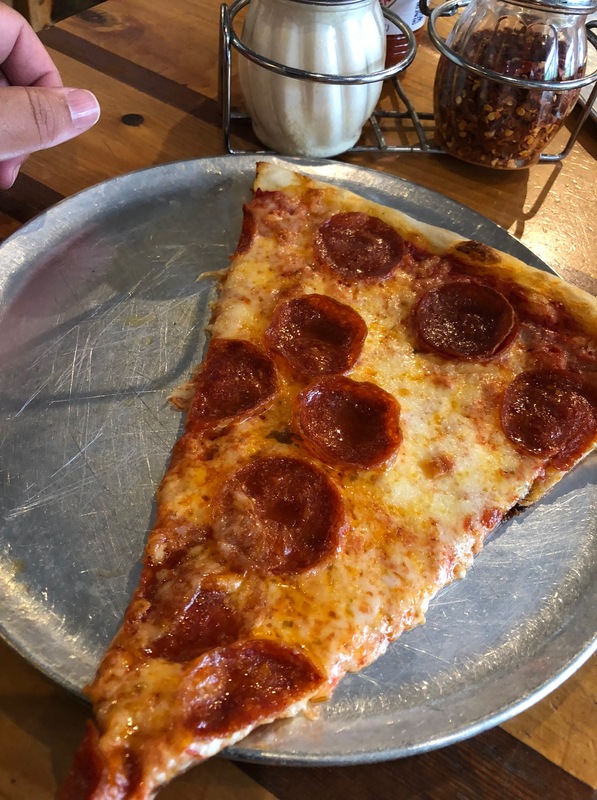 Pizza Delicious, 617 Piety St. – Tired of seafood… Have a slice or two! 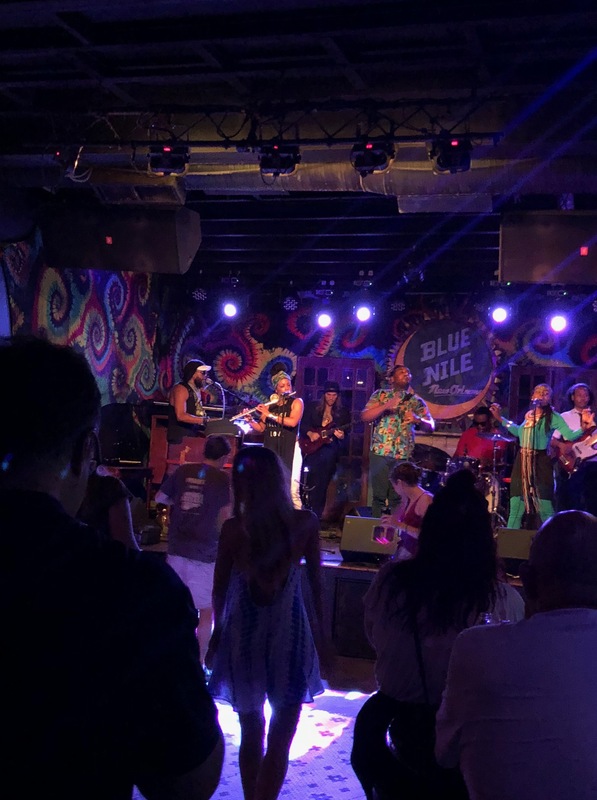 Blue Nile, 532 Frenchmen St. – Cool venue for live music and drinks! Snug Harbor Jazz Bistro, 626 Frenchmen St. – Great music on Frenchmen! The Spotted Cat, 623 Frenchmen St. – Great music on Frenchmen! Vaughan’s Lounge, 4229 Dauphine St. – Music in the Bywater! 30/90, 520 Frenchmen St. – Great music on Frenchmen! Euclid Records, 3301 Chartres St. – Fun spot to go back down memory lane exploring the albums! Bywater Bakery’s chantilly cake – moist almond cake filled with layers of blueberries, strawberries, raspberries — ohhhh so good! Morrow’s on St. Claude… great food, drinks and music! We enjoyed it! 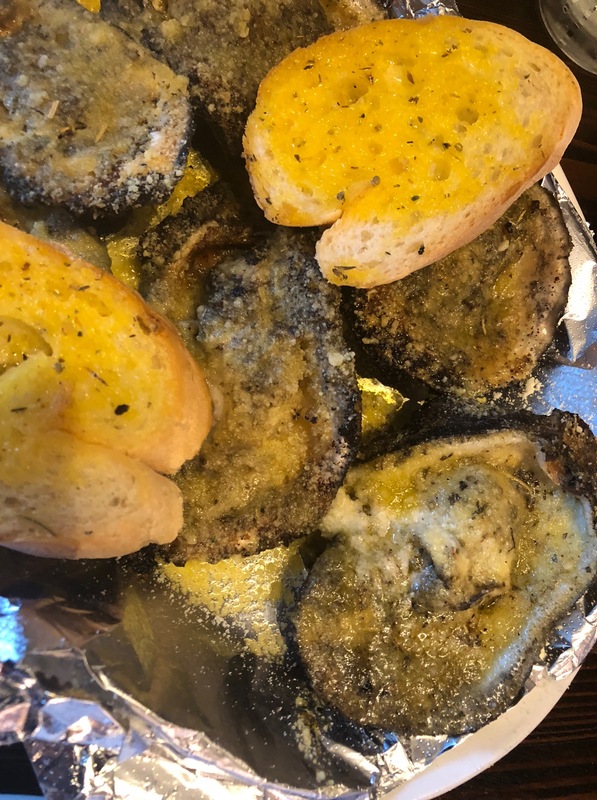 Morrow’s charbroiled oysters – very good! 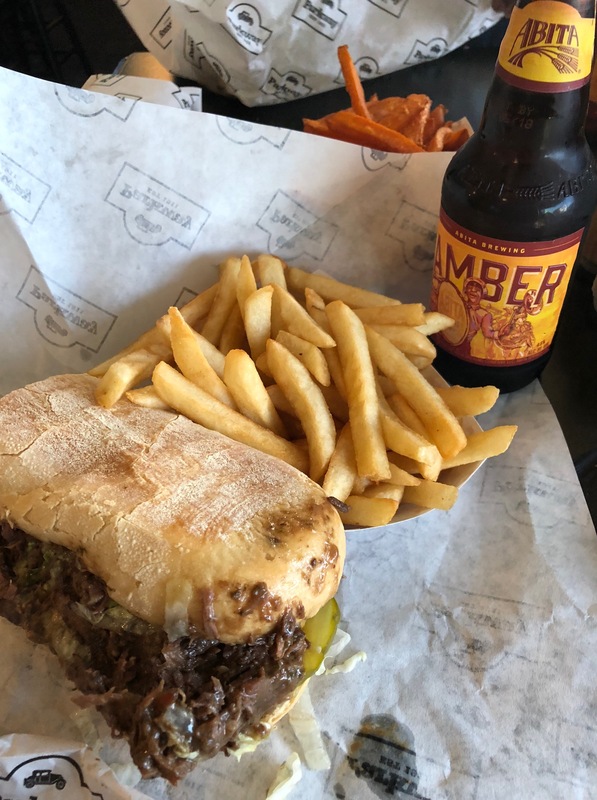 The Company Burger, 4600 Freret St. – Great burgers! 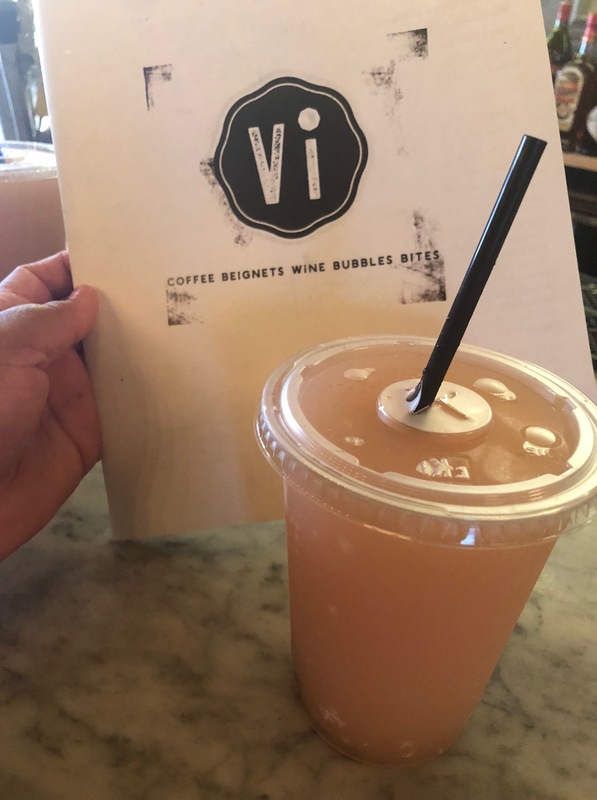 The Vintage, 3121 Magazine St. – Try the beignets and frose’ – Thank us later! 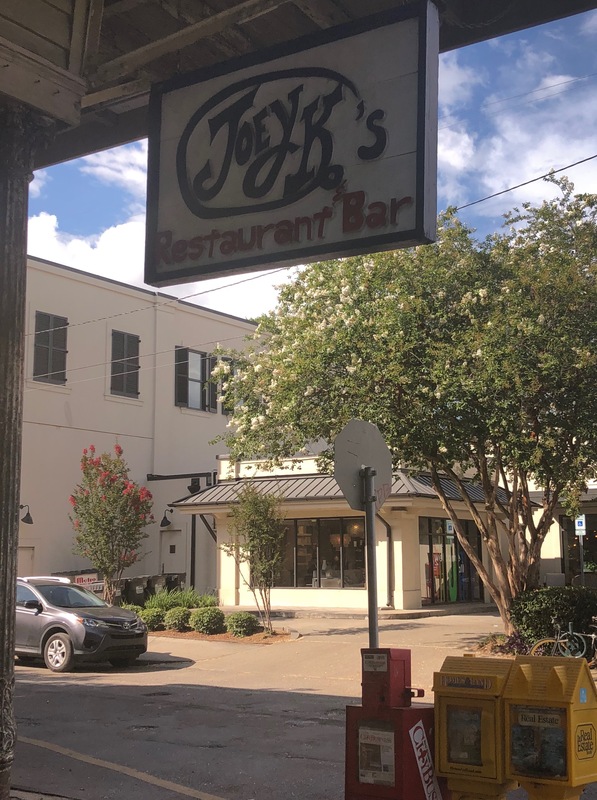 Joey K’s, 3001 Magazine St. – Have a refreshing beverage at the bar! Commander’s Palace, 1403 Washington Ave. – Excellent food! There is a dress code! Camellia Grill, 626 S Carrollton Ave. – Yummy breakfast! District: Donuts. Sliders. 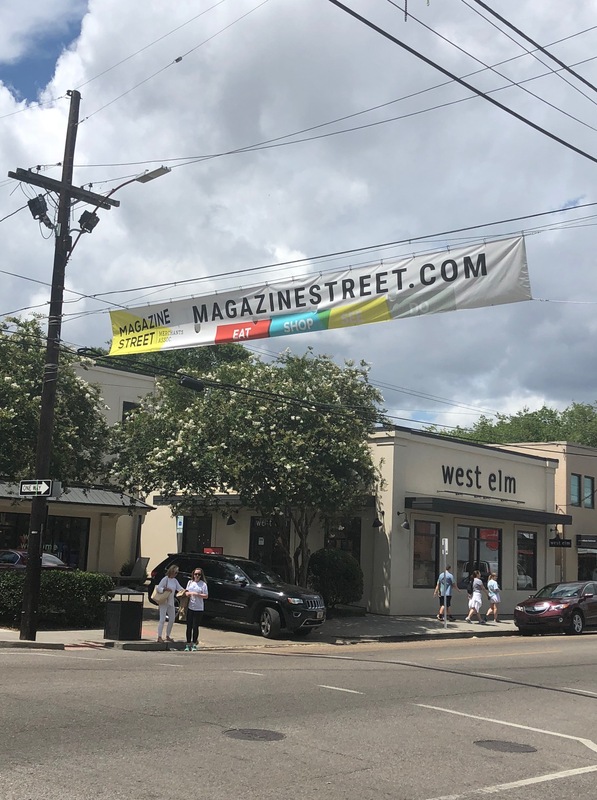 Brew., 2209 Magazine St. – Do we need to say more? Donuts, Sliders & Brew! Plum St. Snowballs, 1300 Burdette St. – The real snowcone house! Slim Goodies Diner, 3322 Magazine St. – Try a crabby wife! The Trolley Stop Café, 1923 St. Charles St. – Breakfast, lunch and dinner served all day! 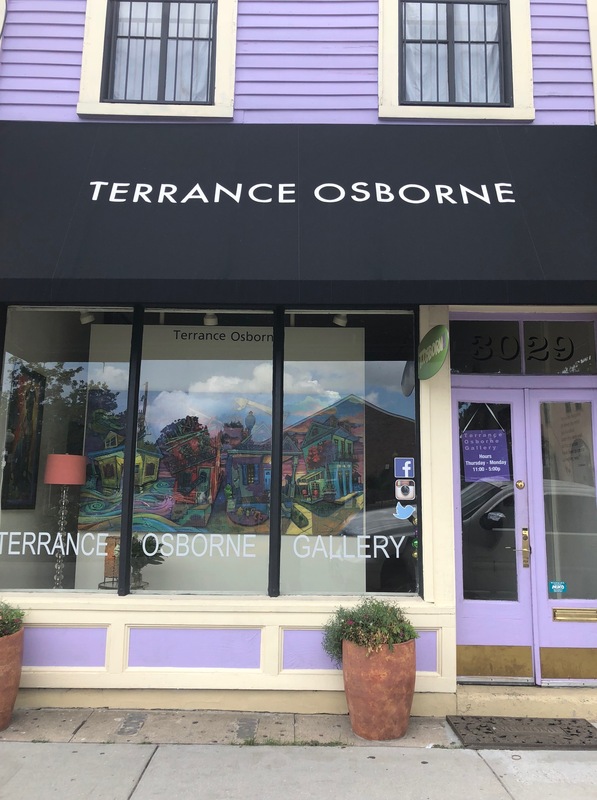 Terrance Osborne Gallery, 3029 Magazine St. – Love his use of colors. Closed on Tue/Wed. Maple Leaf Bar, 8316 Oak St. – Cool spot for live music! Kim and Val out walking around Uptown! The Vintage Frose’ (Frozen Rose’) A must have! Dooky Chase, 2301 Orleans Ave. – NOLA Icon, Leah Chase’s restaurant. Great artwork on the walls too! Willie Mae’s Scotch House, 2401 St Ann St. – Family-owned soul food! Get your chicken fix! 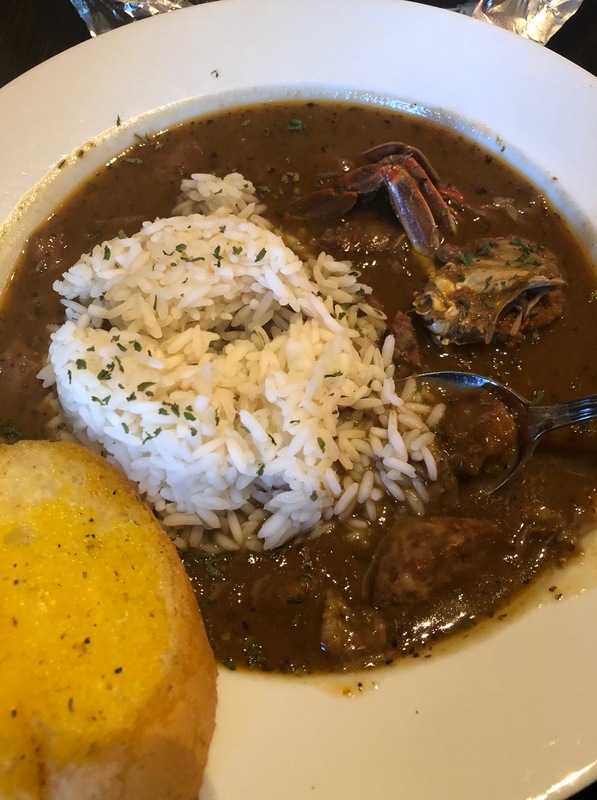 Neyow’s Creole Cafe,3332 Bienville St. – Cool new spot! Parkway Bakery and Tavern, 538 Hagan Ave. – We eat here all the time – surf and turfs are our fave! 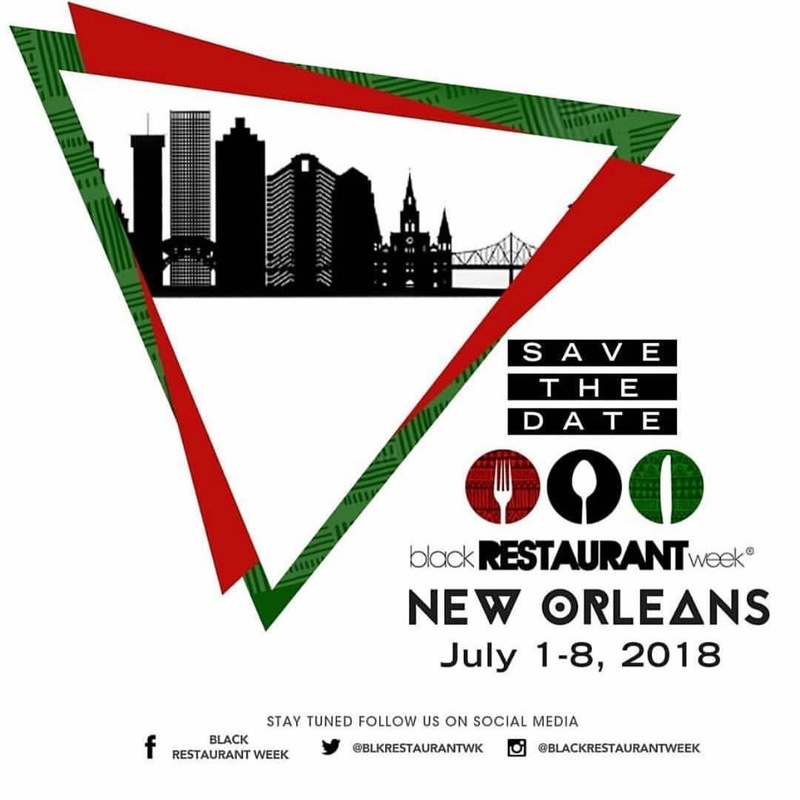 Last thing… It’s also New Orleans Black Restaurant Week from 7/1 – 7/8/18. Black Restaurant week began in Houston, Texas, in 2016 and through its success has expanded into other markets across the United States. Black Restaurant Week is committed to the education and awareness of the Black Culinary Industry in the United States. 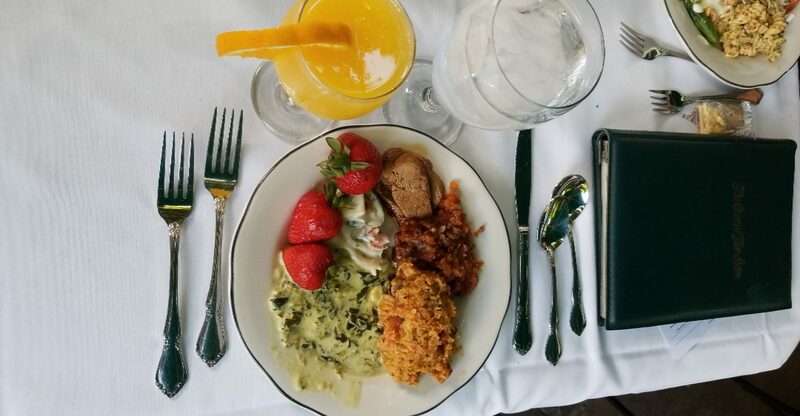 Black Restaurant Week seeks to create experiences that cater to a diverse culture of tastemakers, professionals and foodies looking for exposure to delicious food and exquisite wines. Neyow’s Creole Cafe, 3340 Bienville St.
We Dat’s Chicken and Shrimp, 1407 Canal St.
Next postREVIEW: East Hampton Sandwich Co.